Almost New Home in Summerly! 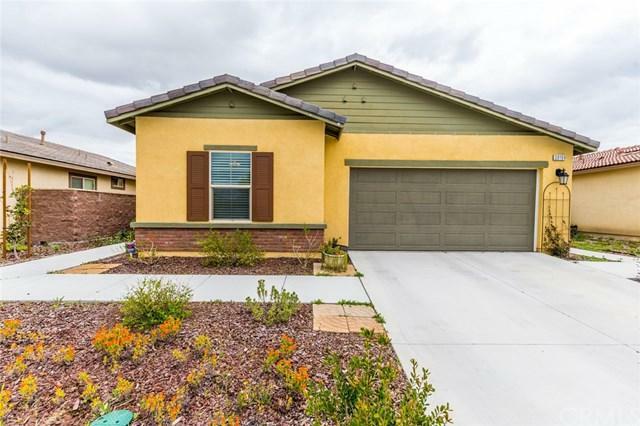 Built in 2016 this wonderful ranch style single story home is like new! Spacious open floor plan with family room, large kitchen and dining area that has a wonderful view to the backyard and hills. So many windows that just allows the sunshine to naturally light up the rooms! Plantation shutters in living area and master bedroom. 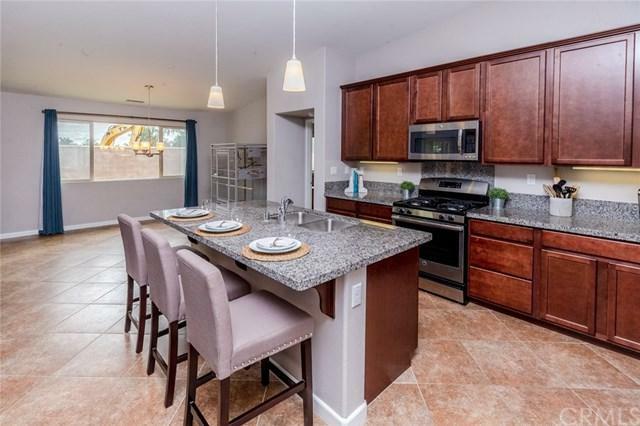 Kitchen has granite, lush dark cabinets, stainless steel appliances and Pendants lighting over kitchen center counter and in dining room. AND CAN I TELL YOU ABOUT THE SOLAR!! 16 panels, 3.7kw system. Paid off with a 25 year warranty!! !Upgraded hardware/door handles on all raised panel doors. 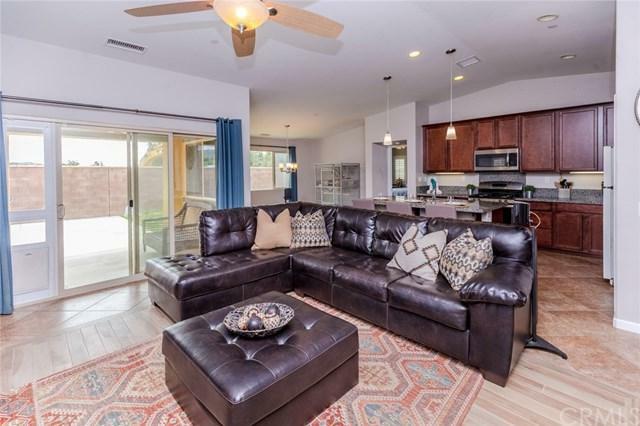 The flooring is 18"x18" Ceramic tile floors, diamond cut, and beautiful neutral carpet in bedrooms with Upgraded padding under carpet in all bedrooms for a premium cushy feel! Ceiling fans in all rooms, including great room and even the outside covered patio that is located off the slider in the family room. Master bathroom has dual sinks, soaking tub, separate shower and large walk in closet. 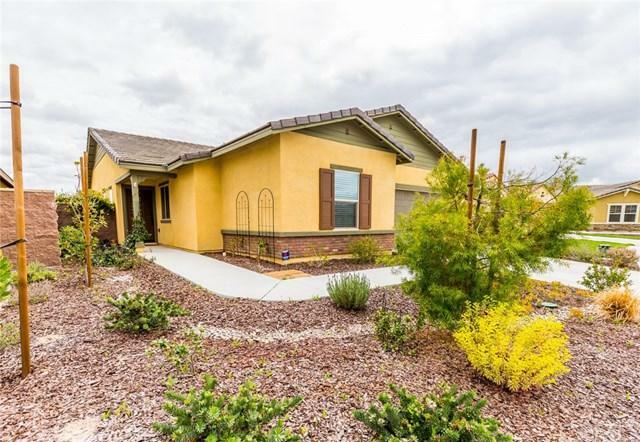 Landscaped yard has Concrete patio and concrete path down both sides of house and perimeter walking path, with grass on one section.Automated irrigation system with controls in garage (irrigation for rear lawn and drips on front landscape).